Most computer users that take advantage of what a proxy server has to offer, either configure it manually through their browser or use a software. With Windows 8.1, you can do it from the confines of the new PC settings app without the help of a third-party software. Proxy servers allow you to mask your actions online by acting as an intermediary between two connections. Let’s say you want to go to website A. If you’re not using a proxy server, your computer simply connects to website A and away you go. If you opt to use a proxy server, then before your computer connects to website A, your connection is filtered through a secondary location, then connects to website A. Website A thinks the secondary location is what connected to it, not your computer. 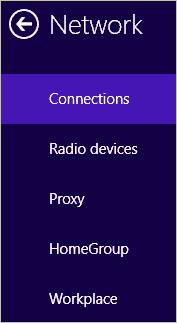 Windows 8.1 introducing a way to set up a proxy connection is a step in the right direction. Using a proxy server is the first step towards getting privacy, as it covers your tracks when you surf the web. 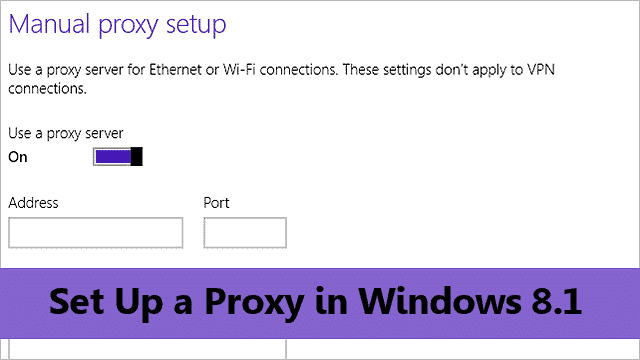 Let’s take a look at how to configure and use a proxy server in Windows 8.1. 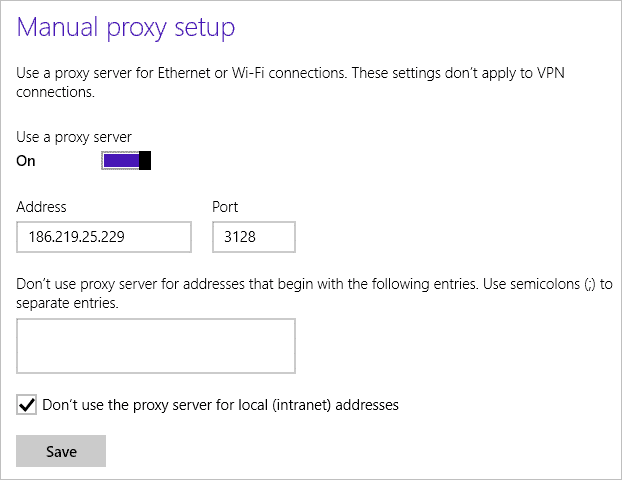 Before you set up proxy settings in Windows 8.1, you want to have a few proxy addresses available to try. When configuring a proxy connection yourself, you’ll quickly learn that not all proxy services are the same quality. It might take a few tries before you find one that works well with your Internet connection and what you want to do on the Web. Also, keep in mind that free proxy server addresses are often low-quality and may not be worth the time and effort to use in Windows 8.1. However, if you just need the proxy server for a bit, it may be worth the frustration to stick with it. Utilize the “Windows Key + C” keyboard shortcut to open the Charms Bar. 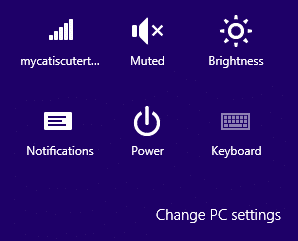 Alternatively, you can also hover on the right side of the Windows 8.1 desktop or Start Screen to open the Charms Bar. Click on “Settings” when it appears. Then, click on “Change PC settings” to open the PC settings app to set up proxy connection. Now, navigate to “Proxy” in the Network settings. 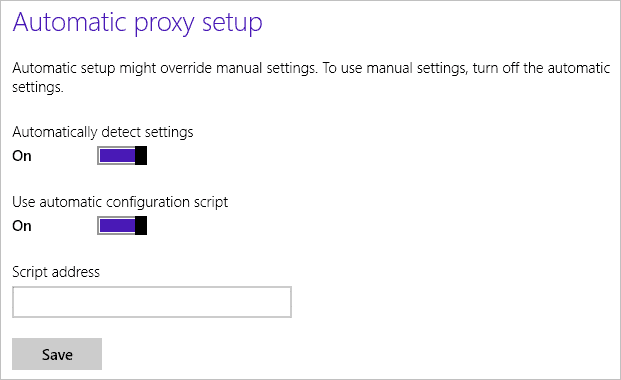 There are two ways to set up proxies in Windows 8.1: Automatic and Manual. The former refers to utilizing third-party software to gain access to a proxy server. If you are using such software, ensure that “Automatically detect settings” and “Use automatic configuration script” are turned on. If you want to manually use a proxy server, click the slider to “Off” next to “Automatically detect settings” and “Use automatic configuration script” before continuing. Now, you’ll enter the address and port for the proxy server. We recommend using HideMyAss, which has one of the better overall proxy server lists on the Web. Not all proxy servers on the list will work, and if you run into issues, we suggest moving on to a new proxy server on the list focusing on ones that have a high connection time as well as a reliable speed. In the box below, you can enter in specific Web addresses that when you visit them – regardless of your browser preference – won’t use the proxy server. This can be a way to separate who you want to see your information when you visit their site. Click the box next to “Don’t use the proxy server for local (intranet) addresses.” While you don’t have to do this, for the most part, it’s the best way to utilize the proxy set up in Windows 8.1 over your local addresses. Ensure you click “Save” to save your manual proxy setup. As soon as you click Save, your proxy setup will be turned on and you’ll be browsing through it as opposed to your primary Internet connection. If you’re in doubt about the proxy server, head to FindMyIP.org to see if it’s working and in effect. If it is, you can use it until you notice a change in response, then switch to another proxy server that seems reliable. Proxy servers are as fickle as they come, and even with a service as great as HideMyAss, you’ll run into issues. This has nothing to do with Windows 8.1 and everything to do with the proxy server itself. Until you turn off the manual proxy setup through the settings, you’ll be surfing the Web through it. For now, that’s all you get with setting up a proxy server in Windows 8.1. There’s no telling if Microsoft will add more functionality to the addition to the PC settings with the final release or if this is all we’ll get for now. Proxy servers are an excellent way to hide what you’re up to online. While Windows 8.1 has a way to go to offer more functionality other than how to just set up a proxy server, it’s an evolution to the way a Windows PC connects to the Web. For now, users may still need to rely on third-party software and browser-based proxy services to get the most they can from. Please Note: Proxy setup, like Windows 8.1, can be fickle. If you’re using the Windows 8.1 Pro Preview, you may run into issues with proxy servers and other areas of the preview. Let us know below what you’re encountering so we can help you work through it quickly.